If you enjoy drawing, painting, or illustrating, then you might want to consider an online associate in graphic design program. Graphic Designers work to impact the world in many ways, from saving lives to selling products. Completing an online associate in graphic design program can both hone your skills and distinguish your credentials from other artists. The Bureau of Labor Statistics projects that positions in graphic design will grow 5% between 2016 and 2026. Graphic designers earn an average salary of $47,640 across the U.S. Because of this industry's competitive nature, it's important to build your resume during your education. While earning your graphic design associate degree, focus on creating a strong work portfolio that can help you stand out to future employers. The New School ranks #1 on The 5 Best Online Associate in Graphic Design Programs! The New School in New York City opened nearly a century ago as a center for social research. Today, the university includes five colleges, including the prestigious Parsons School of Design. At Parsons, based in NYC's Greenwich Village, students master the fields of art and design in both their traditional and emerging forms. The school's AAS in graphic design, for example, cultivates visual literacy through an immersive 65-credit curriculum that allows students to realize their creative potential. Part of the School of Art, Media, and Technology, this graphic design associate degree takes an average of two years to complete. There are two tracks, including a fast track that takes only a year to complete by combining previously earned credits. Courses cover the history of the field, traditional processes, and new approaches such as web design. Students learn about digital layouts, color theory, and illustration. This online graphic design associate degree is a hybrid program that requires in-person attendance for some classes. Toward the end of the program, Parsons encourages students to round out their experience with immersive study at one of New York's design-driven companies. Students admitted to the AAS program can transfer up to 31 credits. Typically, students who enroll in Parsons associate programs have already earned a degree. Applications are sent online and must include transcripts, a statement of intent, and a creative assignment. There are two terms each year in the fall and spring. Both Parsons and The New School are accredited by the Middle States Commission on Higher Education. Foothill College ranks among The 5 Best Online Associate in Graphic Design Programs! Foothill College in Los Altos Hills, California, has served the region's students for over 60 years. Expanding over time to offer distance education, Foothill College's enrollment today tops 13,000, and its programs include over 70 associate degrees and more than 90 specialty certificates. The AA in graphic and interactive design is one of the college's newer offerings, taking on the craft of visual storytelling. The associate degree in graphic design at Foothill College is a 90-credit program, 58 of which consist of core and support courses. Students learn about traditional processes of layout and sketching, along with the use of digital graphics and online tools. Support courses explore artistic subjects such as print arts and relief printing. While courses are asynchronous, the graphic arts program is not self-paced. Learners earning Foothill College's online graphic design associate degree learn with a cohort and advance through courses as a team. The average class size is 27 students. All courses pertaining to the graphic design major must be taken for a letter grade, and a cumulative GPA of 2.0 or better in all core and support courses must be earned to graduate. Foothill College maintains an open-door admission policy, meaning a high school diploma or equivalent is the only requirement. There are four terms a year in the fall, winter, spring, and summer. Transfer credits are accepted if earned from a regionally accredited institution. Foothill College is accredited by the ACCJC of the Western Association of Schools and Colleges. Gateway Technical College ranks among The 5 Best Online Associate in Graphic Design Programs! Based in Kenosha, Wisconsin, GTC offers 65 programs of study in areas such as health, business, education, and IT, and serves more than 21,000 students. Within the arts, students can choose from two associate degrees and 11 certificates in publishing, digital photography, and editing. The AAS in graphic communications is a 60-credit degree that prepares future graphic designers for careers in advertising, marketing, or web design. The online graphic design associate degree is offered in both blended and fully online formats. Courses are taught asynchronously, and classes may be taken out of sequence for added flexibility. The online associate degree in graphic design at GTC takes the traditional tools of creativity and bridges them with the technical tools of today. The curriculum blends major courses with general education requirements, with typical semester loads including three or four courses in design and one in a foundational subject. Students can complete the AAS in two years. There are no special admissions requirements. In addition to transcripts, placement testing helps determine the best plan of study for every student. For online learners, tuition is the same as for in-state students; the out-of-state tuition charge is waived. For more than 100 years, Gateway Technical College has supported lifelong learning and professional development. Founded in 1911, GTC was the first publicly funded continuation school in the Badger State. GTC is regionally accredited by the Higher Learning Commission. Community College of Vermont ranks among The 5 Best Online Associate in Graphic Design Programs! Located in Winooski, Vermont, CCV is the Green Mountain State's second-largest college, serving over 7,000 students each semester. Founded in 1970, CCV offered its first distance learning course in 1996, and by 2010, 27% of its students were studying online. Today, CCV offers 200 online/hybrid courses each semester, including 12 associate degrees and seven certificates that are available fully online. There are three semesters per year in the fall, spring, and summer. All applications require transcripts of prior coursework and proof of a diploma or GED certificate. Residents of other New England states may be eligible for special enrollment and a tuition discount. CCV is accredited by the New England Association of Schools and Colleges. Independence University ranks among The 5 Best Online Associate in Graphic Design Programs! Independence University is an online school that has offered distance learning for working professionals since 1978. Headquartered in Salt Lake City, Utah, it offers career-focused associate, bachelor's, and master's degrees in diverse fields through four schools: the School of Healthcare, School of Business, School of Technology, and School of Graphic Arts. Following a merger in 2010, IU became a branch of Stevens-Henager College. IU promotes accelerated degree options, offers a generous credit transfer policy, and has eliminated all electives. The AAS in graphic arts from IU is a 99.5-credit program that can be completed in as few as 20 months. Through the program, students learn tools of the trade, such as Adobe Creative Cloud, as well as how to tell a story through visuals for print or web applications. Courses cover topics such as computer fundamentals, working within a digital environment, psychology of motivation, logo/identity design, and internet commerce. In addition to major-specific requirements, students of this graphic design associate degree also need to take six general education courses for 24 credits. Courses may be taken synchronously or asynchronously. Admissions to the graphic design associate degree at IU begins with a phone interview with an admissions consultant. Interested students discuss their school background, professional goals, and financial planning. Tuition is the same for all online students, regardless of state residency. Currently, IU's programs are not available to residents of Arkansas, Massachusetts, Iowa, Minnesota, and Montana. IU is nationally accredited by the Accrediting Commission of Career Schools and Colleges. The Bureau of Labor Statistics suggests that you should earn a bachelor's degree after completing your online graphic design associate's degree to maximize your employability. A bachelor's degree signifies that your training has prepared you for many different roles your future employer may require you to perform on the job. Also, a bachelor's program gives you the opportunity to specialize in a particular graphic design field, as shown by the degree paths below. Bachelor's in Computer Animation: From Hollywood studios to the high school classroom, computer animators have many possible career paths after graduation. Their skill set gives them significant flexibility when choosing potential employers. Bachelor's in Architecture: Graphic designers often turn their passion and skills to designing homes, offices, and skyscrapers. During your program, you'll learn how to unite beautiful design with maximum utility. Bachelor's in Digital Art: Digital artists create the graphic designs you encounter every day. A bachelor's in digital art can open the door to a variety of employers throughout the United States. Any interest in a pursuing a bachelor's degree? 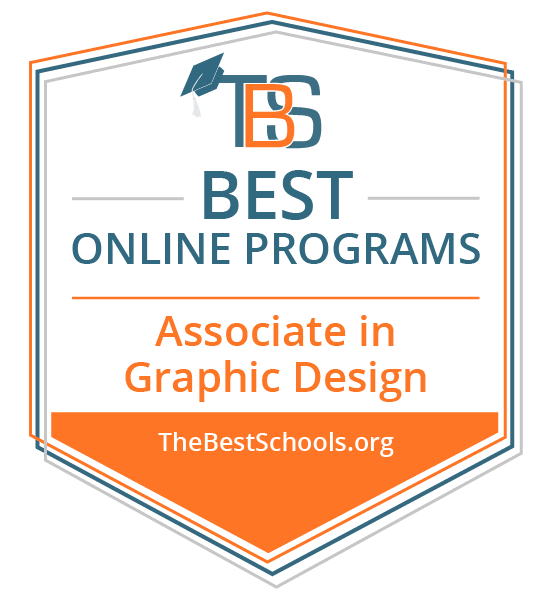 Learn what you can do with an online bachelor's degree in The 15 Best Online Bachelor's in Graphic Design Degree Programs.